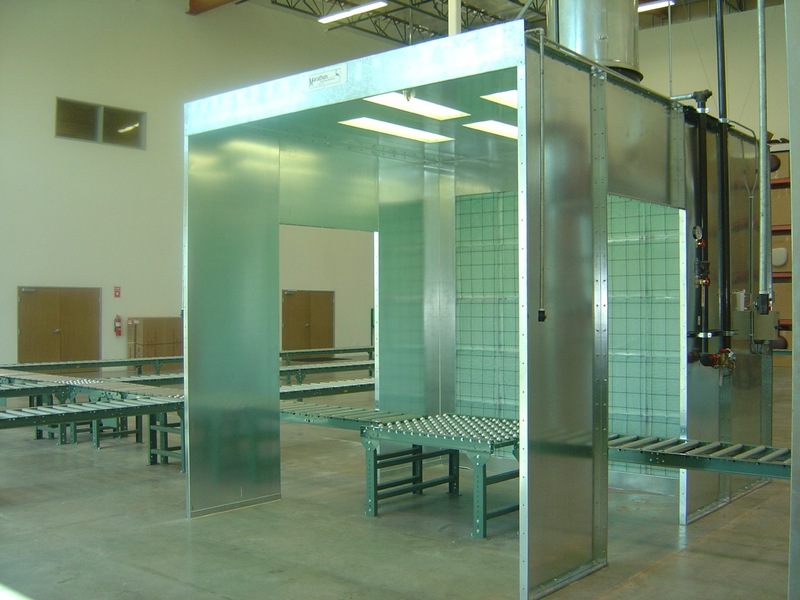 Open front paint booths work great for the batch application or even a conveyor system. 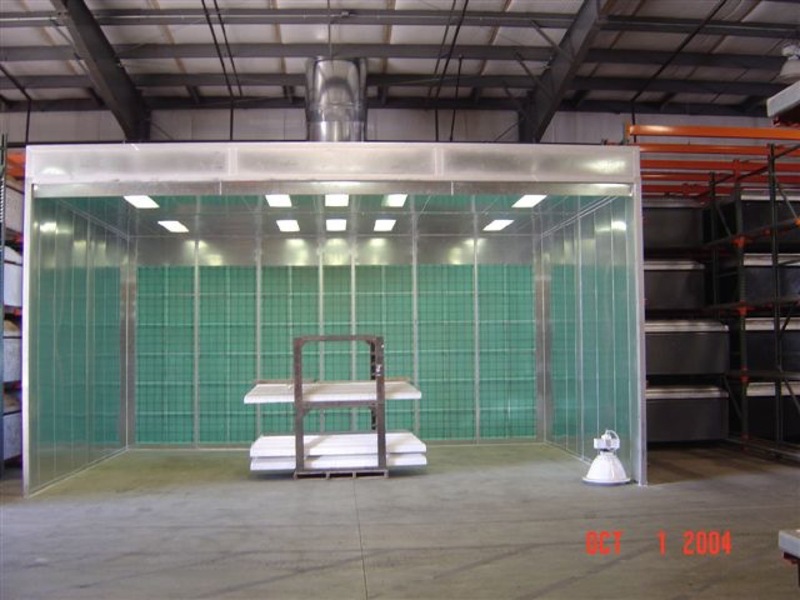 Air comes in through the front open space of the booth and is drawn through the filter bank at the back of the spray booth. 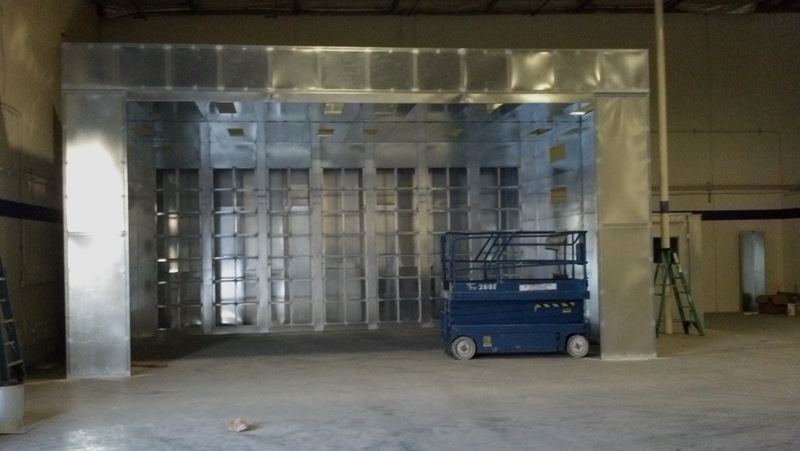 The filter bank captures the spray particulate and the remaining air is vented to the atmosphere. 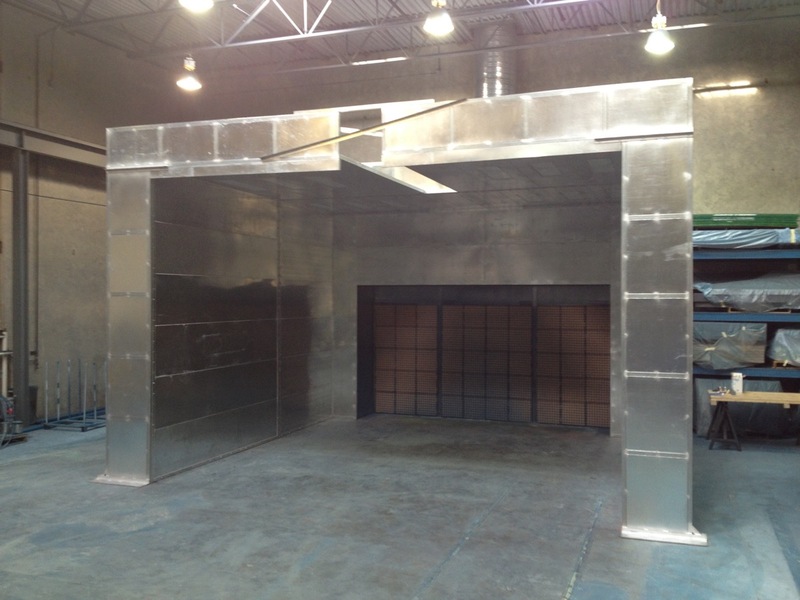 These booths are easy to install as they are nut & bolt assembly required units. Sizes vary in width, depth and height all of which are adjustable to meet your production needs. Also available are many options to enhance your booth purchase. 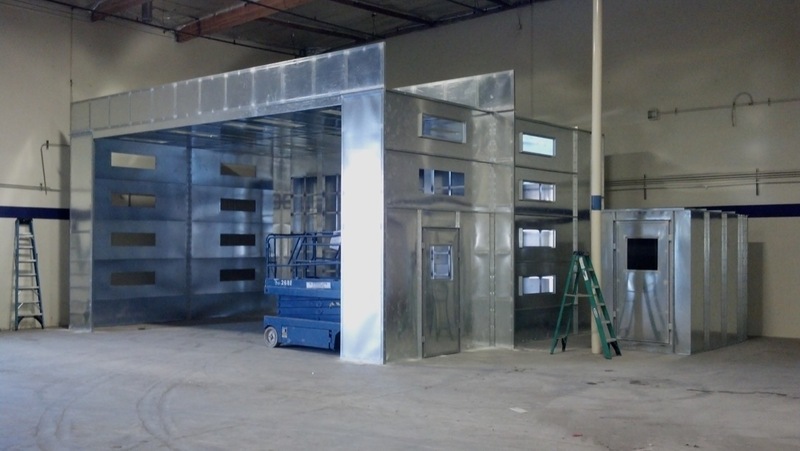 Options include a third party booth listing, listed control panels, air replacement units, powder coating, crane slots and conveyor openings. Call (866) 519-7269 for a quick estimate.